The perfect bouquet to send just because. 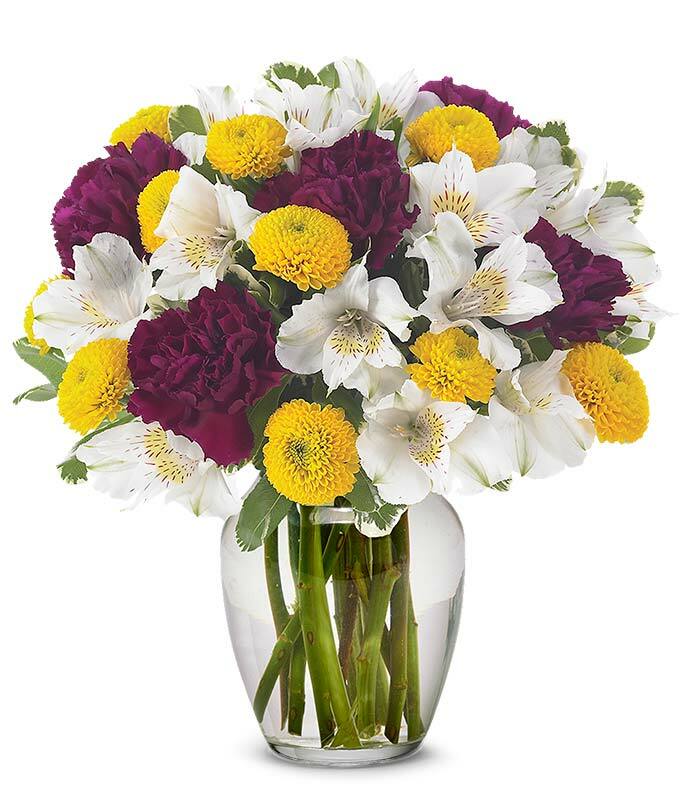 This arrangement features mauve carnations, white alstroemeria and yellow button poms. Delivered in a clear glass vase, the bouquet is sure to make someone's day special. Measures 10"H by 10"L.